Michael and Hassan start by previewing the Sweet 16 by going through each region. The Pat Shand region which consists of Captain America: Winter Soldier vs. Thor: Dark World and The Avengers: Age of Ultron vs Captain America: Civil War. Throw in a side debate over the pronunciation of posthumous and we got ourselves a heated tournament to decide amongst these movie sequels. They continue previewing the bracket with the Sam Talking Alternative Region which has Logan vs. Iron Man 3 and Guardians of the Galaxy Volume 2 vs. X-Men: Days of Future’s Past. With the whole Sweet 16 bracket revealed, Mike and Hassan breakdown and determine which movies advance to the Elite 8. 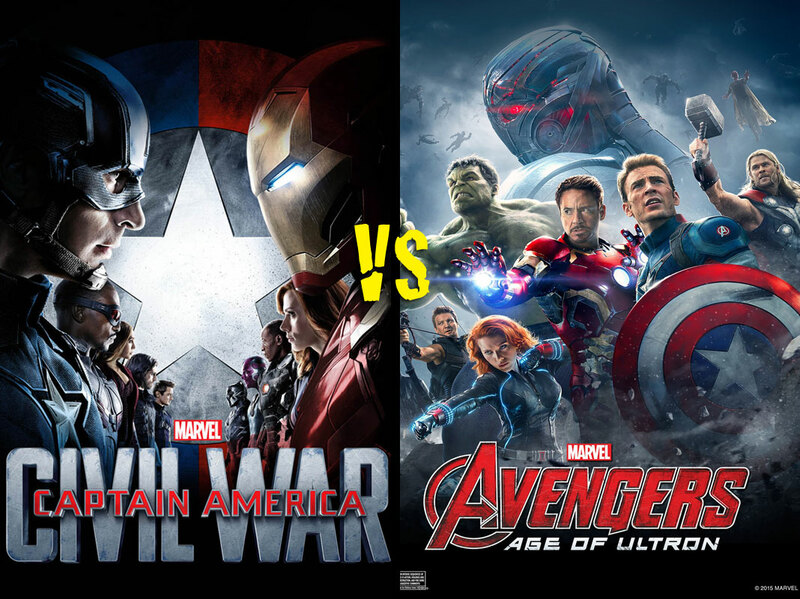 They start by breaking down with Age of Ultron vs. Civil War and which movie’s issues are less glaring. They rush through some of the more lopsided matchups (Spiderman 2 vs. Hellboy 2 and Winter Soldier vs. Thor: Dark World). Michael and Hassan go into the Sam region by breaking down the upset potential of Iron Man 3 over Logan. They debate between Guardians of the Galaxy Volume 2 vs. X-Men: Days of Future Past. They talk about what they didn’t expect out of Days of Future’s Past, the differences in the stories of The Dark Knight and The Wolverine: X-Men Origins. 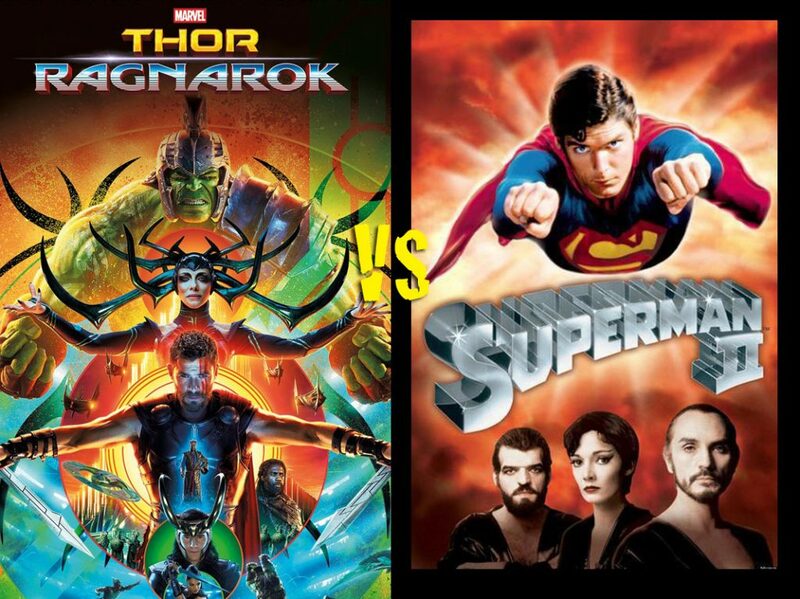 Michael and Hassan wrap the show up with a debate between Superman 2 and Thor Ragnarok and the nostalgia factor of Superman 2. They then determine which X-Men sequel is better: X-Men 2 or X-Men: First Class. NEXT WEEK: True Blood’s Kristina Anapau returns to talk about her new movie! 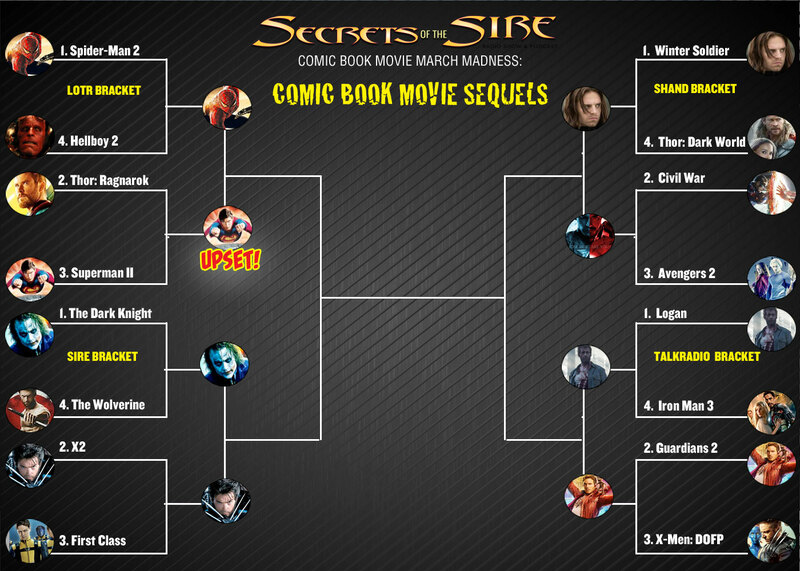 PLUS: Best Sequel madness continues in Round 3!